New Yo rk City is the undeniable epicenter of American standup comedy. There’s an audience for everything. Latin Comedy Night, Italian Comedy Night, Jewish Comedy Night… every evening all over the city, clubs are full of crowds that love to make fun of themselves (and especially each other). No matter who you are, to stay sane in New York City requires an outlet for pent up frustration – and everyone loves to laugh. Even the French. But until this week, there wasn’t a French Comedy Night to be found anywhere in the five boroughs. That changed on April 3rd at Greenwich Village Comedy Club with the first of what should be many French Comedy Nights from B.Productions. French people love the self-depreciating and often cruel sense of humor that comes from their homeland. Florence Foresti, Gad Elmaleh, Fabrice Éboué… But many have been forced to enjoy some of their favorite standup comedians by themselves because as their friends would affirm, watching comedy with subtitles just isn’t the same. That’s about to change as the francophone minority in New York finally has an outlet of their own to gather and laugh with (and at) each other. Kallagan kicked it off last night and had no difficulty proving there was an audience for his humor outside the Métropole. He joked about passing through American customs as a “tourist”, the incredible ease of obtaining a driver’s license in America, and showing up drunk to his son’s birth. He used a speculum as a puppet and spent a lot of time questioning the gynecologist’s qualifications. He also hopes to use his accent to attract an American woman but so far has had no such luck. Kallagan is a rare example of a near instant success story in the world of standup comedy. He has quickly built a loyal audience in France and abroad since his first show 8 years ago. He’s starred in televised specials, performed in seven different countries, and opened for some of France’s biggest names in comedy. Not bad for someone still in his 20’s. B.Production’s first French Comedy Night was a big success, filling a vacuum for the city’s vast and diverse French-speaking population. Greenwich Village Comedy Club was packed with students, couples and “tourists” (hey, it’s been 3 months, time to renew that visa), some even traveling in from different states. For the next French Comedy Night, Kallagan will return on Tuesday April 8th for the last of two NYC performances before continuing his U.S. tour. Tickets are only $20 for a guaranteed good time. Get your tickets soon, show up early, and keep a look out for more French comedy journeying across the Atlantic. Post by Victor Chovil, Brown Paper Tickets’ New York City Outreach Representative. Tags: comedy, France, french, New York. Le VIIIème ÉCU – Open Your Eyes! The final count down has started for the 8th ÉCU, the European Independent Film festival that will take place Friday, March 29 to Sunday, March 31 in Paris, France. With 108 films coming from 35 countries around the world, ÉCU provides movie goers with an extraordinary opportunity to see a vast array of independent movies that would otherwise be hard to find. The full line-up is available here. It is also an opportunity for the public to meet face to face with many of the filmmakers during Q&A sessions or during one of the after-parties, or even attend one of the many workshops covering all aspects of independent filmmaking. Adam Leipiz, the CEO of Entertainment Media Partner will be leading the first workshop “Inside Tracks for Independent Filmmakers” on Saturday, March 30. You can pick up tickets for this workshop right over here. Tags: Adam Leipiz, Ahmed Khedr Award Excellence in Arab Filmmaking Award, ECU, ÉCU Firsts, Entertainment Media Partner, European Independent Film Festival, France, Inside Track for Independent Filmmakers, Pars. Could the ÉCU Be the New European Sundance? Earlier this week, the ÉCU European Independent Film Festival released its Official Selection of films for their eighth edition that will take place on March 29, 30 and 31 in Paris, France. The independent festival was founded in 2006 by Scott Hillier, an Australian independent filmmaker and former war cameraman. His driving force came after realizing that Europe had no festivals where independent filmmakers could showcase their work unless they were wildly known or had an agent. The main event not only features about 100 screenings (selected from over 700+ submissions) but also Q&As with the audience, industry workshops and after-parties open to all attendees. The 3-day format makes it affordable for Official Selection filmmakers to attend the entire festival, and more importantly, creates a feeling of intimacy that larger film festivals have long lost. ¨We make them [filmmakers] feel at home and they love being here. Everybody knows everybody.¨ says Festival Manager, Kädi Lokk. 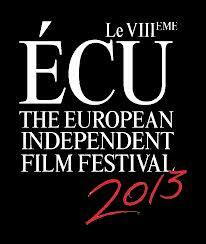 Tags: ÉCU European Independent Film Festival, ÉCU On The Road, film festivals, France, Paris, Scott Hillier. On June 21st, the longest day of the year, what could be better than throwing a giant party all over the country? That’s what the French Ministry of culture decided to do when they launched the first Fête de la Musique in 1982, a free popular event open to any amateur or professional musician who wishes to perform and share their practice with the public. On that day in France, music is everywhere and it is truly a pleasure to wander the streets and parks (of Paris especially) and to be exposed to anything from classical music to hip-hop, electronic to jazz. The main idea behind the fête is to bridge the gap between differing ages and social backgrounds by making music available to anybody, anywhere : streets, parks, train stations, subways, churches, even hospitals. The event became immediately popular and it didn’t take long for it to be exported to other countries, first within the European Union (in Berlin, Prague, Budapest, Barcelona, Liverpool and Rome) and then worldwide (in more than 44 countries today). For the Seattle event, you will need to reserve tickets. They are available here. 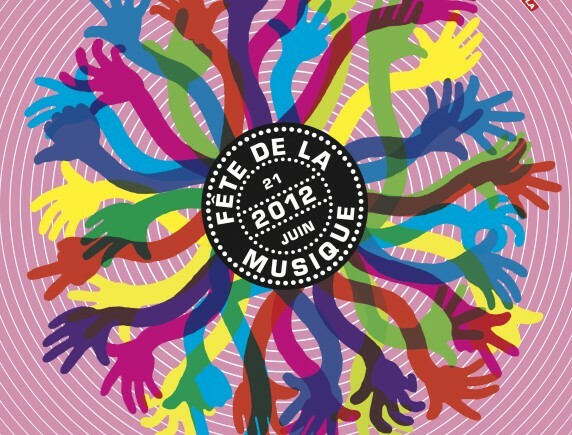 Tags: 1-2-1-2, Century, Eric John Kaiser, Fête de la Musique, France, Isaiah Gleason, Motionfix, Nikkie Dee, Seeing Blind, Talkative, Terabyte and the battery eaters. 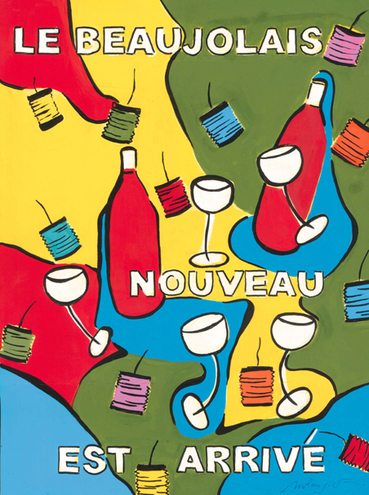 The Francophiles out there will know this, but for the uninitiated this Thursday is Beaujolais Nouveau Day. Beaujolais Nouveau is a red wine made from Gamay grapes in the Beaujolais region of France. It is a vin de primeur which means that it’s a French wine that the Appellation d’origine contrôlée (AOC) has allowed to be sold within the same year that it’s harvested. There’s been a long-standing tradition in Beaujolais of producing a vin de l’année to celebrate the end of the harvest but this was largely a local tradition until after World War II. In 1951, the AOC relaxed restrictions that said the soonest Beaujolais wine could be sold was December 15th. They pushed the release date up to November 15th and Beaujolais Nouveau was born. Beaujolais Nouveau is a purple-pink wine which is bottled a mere 6 to 8 weeks after harvest. The result is a young, fruity wine with mild tannins that’s meant to be served slightly chilled and drank immediately. While many wine connoisseurs consider Beaujolais Nouveau to be simple and immature, it’s an excellent early indicator of the quality of that year’s wine harvest and provides an opportunity to enjoy wine while it’s still fresh and fruity. Tags: Alison Eighteen, Beaujolais Nouveau, France, French Wine. Brown Paper Tickets, the American company that could be French! Caroline Planque from our International Outreach Department, recently visited her homeland of France and spread the good word of Brown Paper Tickets to some of the hip and happening folks in the Parisian arts scene. She found that many Parisians were surprised that a company as community-minded as BPT could exist in America. Here’s Caroline to tell us a little bit more. I recently returned from a trip to my homeland of France. I shook many hands and left behind a trail of BPT buttons, postcards and brochures: from little neighborhood cafes, to concert venues such as the Batofar, a barge topped by a lighthouse on the Seine river; to a former cookie factory in Montreuil, La Biscuiterie, that’s been transformed into a highly messy yet creative collective arts space; to a little record store near Bastille, Born Bad (“Bad Music for Bad People!”), a suggestion from our lawyer Mike Sennott; and, finally, to the incredible, brand new 104 – Centquatre Cultural Center, the former site of a gigantic municipal funeral home. Tags: 104 - Centquarte Cultural Center, Batofar, Born Bad Records, France, La Biscuiterie, Paris.